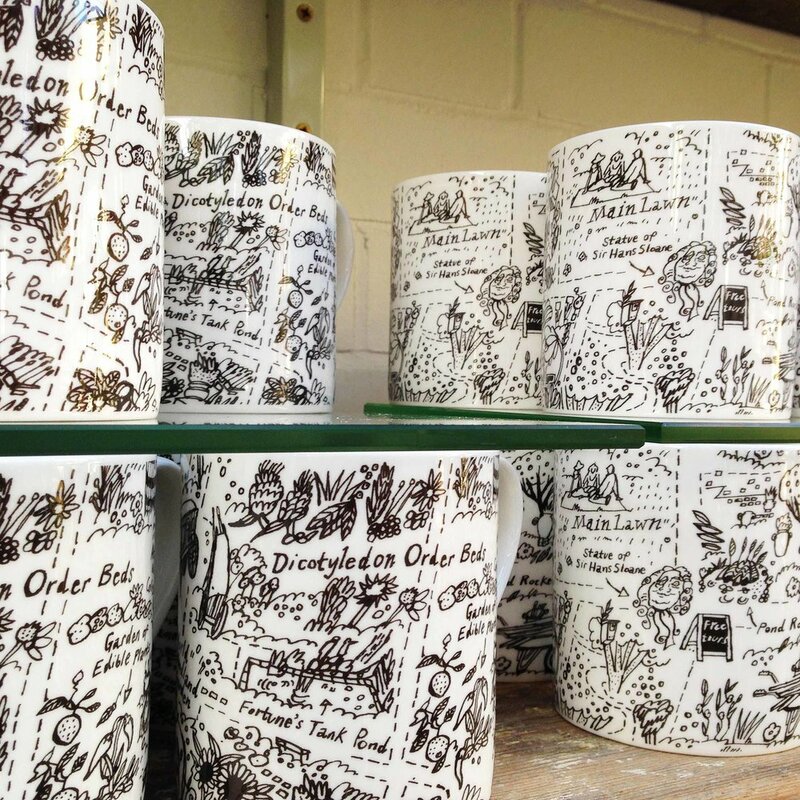 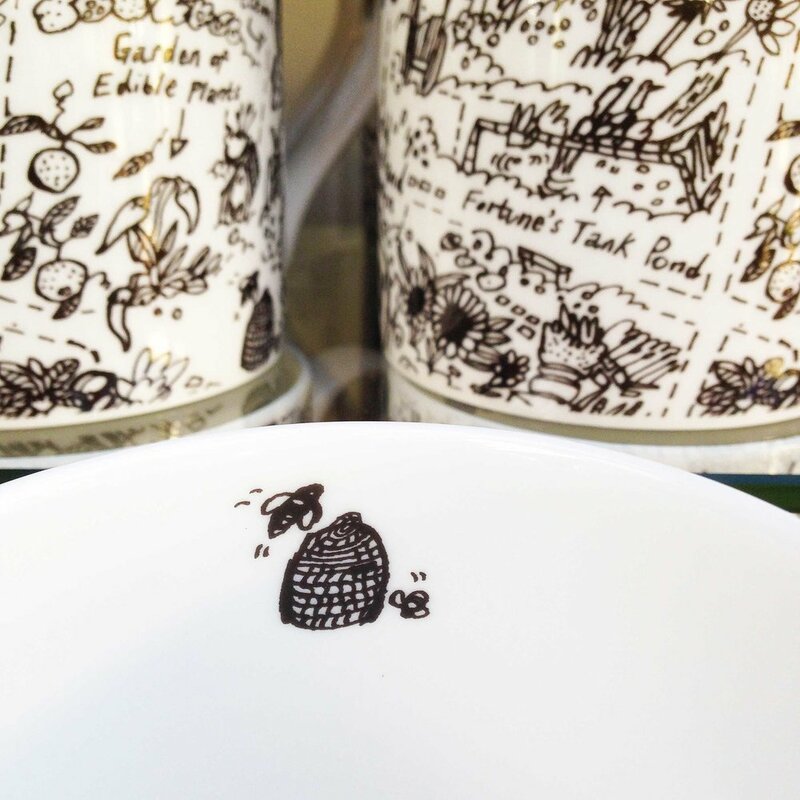 Bone China mugs featuring an illustrated map for the Chelsea Physic Garden. 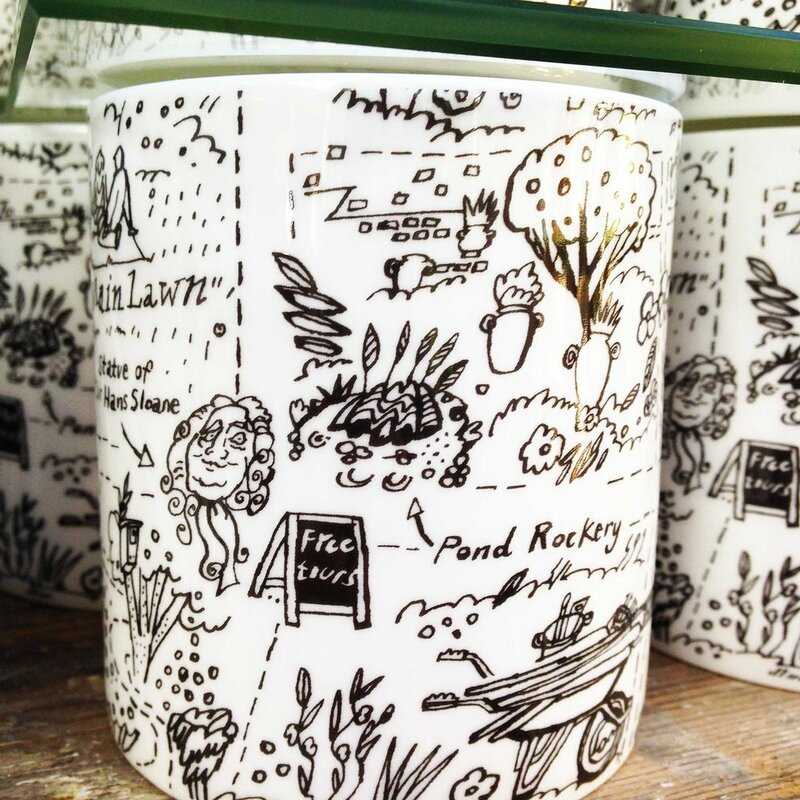 Available in the Garden shop. 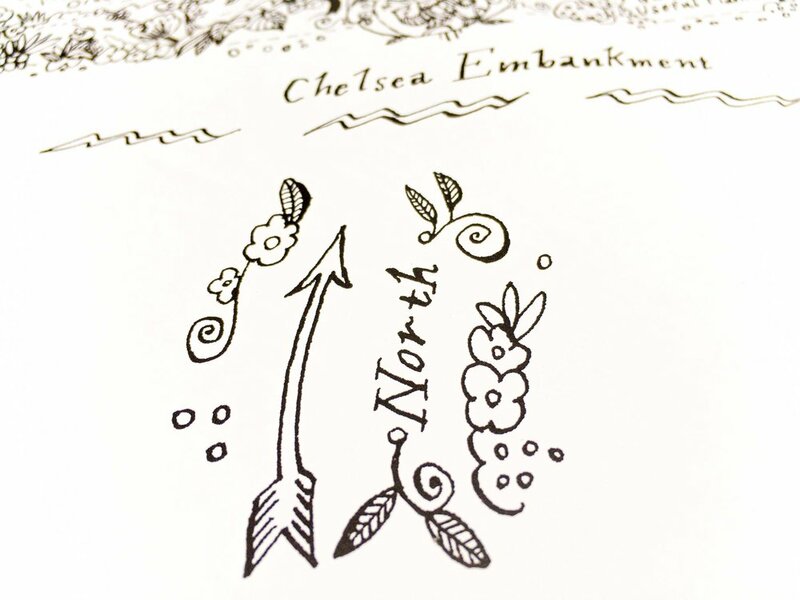 Fold-out leaflet for the Garden.